Dr. Jean-Yves Blay is Professor of Medicine at the Université Claude Bernard from Lyon, France, and the Scientific Director of the Canceropole Lyon Rhône Alpes, a network of more than 1500 researchers and physicians working in the field of cancer in the French Rhône-Alpes region. 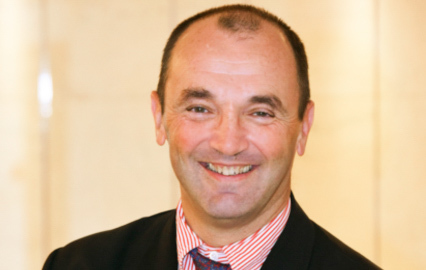 He is also vice chairman of the EORTC Translational Research Advisory Committee, member of the Protocol Review Committee of EORTC, the Chairman of the Soft Tissue and Bone Sarcoma group of EORTC, and of the French Sarcoma Group. Dr Blay serves as scientific committee board member of 5 Cancer centers in France. He has been a reviewer for the Journal of Clinical Oncology, Blood, Cancer, Annals of Oncology, European Journal of Cancer, among others. Dr. Blay has published over 220 peer-reviewed articles, in addition to over 200 abstracts and book chapters. His research interests focus on clinical and basic research in sarcomas, the biology of breast carcinoma and relation between tumor microenvironment and malignant cells with the goal of clinical applications in the fields of diagnosis, prognosis and treatment. Dr. Blay is an active member of the European Society of Medical Oncology, the American Society of Clinical Oncology, the American Association of Cancer Research and has served as member of Scientific Committees for the ESMO and AACR meetings. Dr Blay received his M.D. degree from the Université Claude Bernard in 1990. He performed Oncology and Internal Medicine training at Universite Lyon I and in the Institut Gustave Roussy in Paris. At the completion of his fellowship, he joined the staff of the Comprehensive Cancer Center Leon Berard in Lyon, where he became the head of the Cytokine and Cancer Unit within an INSERM research unit. He took the position of Head of Medical Oncology Unit in University Hospital in Lyon in 1999, was the Scientific Director of Canceropole Lyon Rhône Alpes from 2004.to 2007, and rejoined recently as of September 2008 the Centre Leon Berard Cancer Center as Chairman of the Department of Medical Oncology.